We’ve Gone to Pot in the Garden! No, we’re not really partying for Labor Day Weekend, just revamping the garden pots & planters section. We’ve curated a a couple of new pots likely worthy of a look! 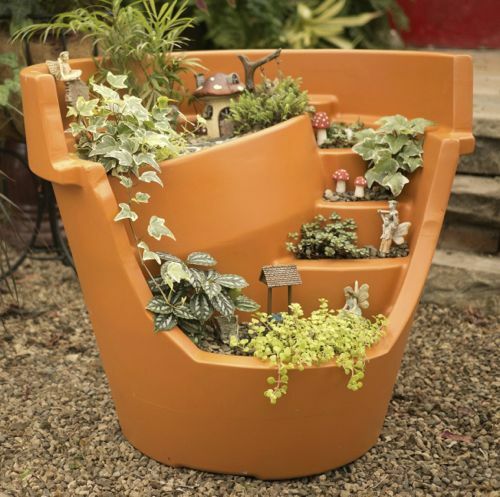 The Large broken Pot Planter is versatile for year-round use indoors or out, lightweight and fun to use. For succulents and miniature plants in magic fairy garden, to herbs and air plants, change this one up for festive holiday decor. Theme it for fall, for your fairies, Christmas, Easter, spring or beach…the sky’s the limit! 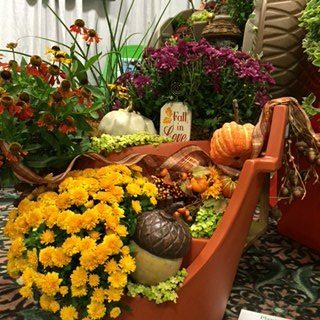 With double wall construction and ample drainage, plants will grow healthy & strong, it’s USA made and made to last. Wall Pocket Planters have long been popular, especially for small spaces. 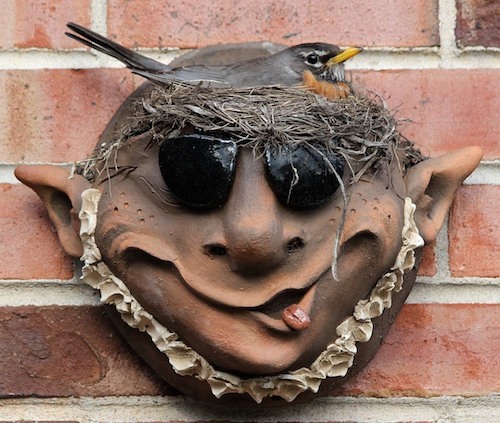 In oodles of styles from rustic to modern, we’ve located a handmade pottery version with character to make any boring wall pop with personality! 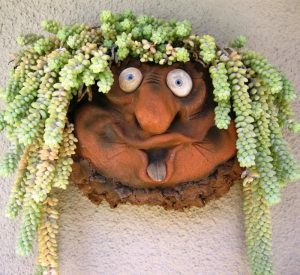 With the wild popularity of succulents lately, the Troll Wall Pocket Planter promises to make a plain space fun! 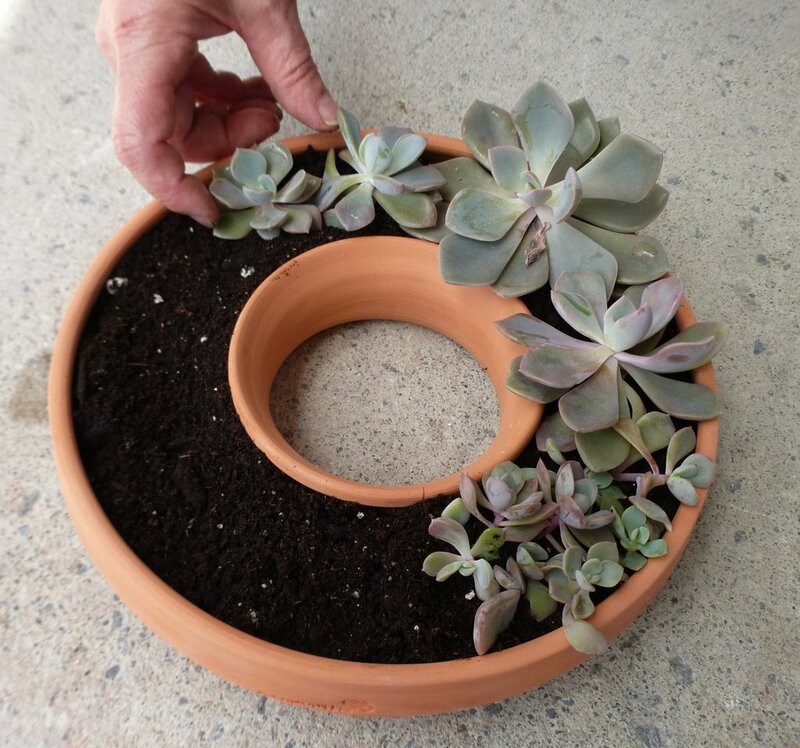 One last planter, also handmade pottery is the Living Wreath Planter. 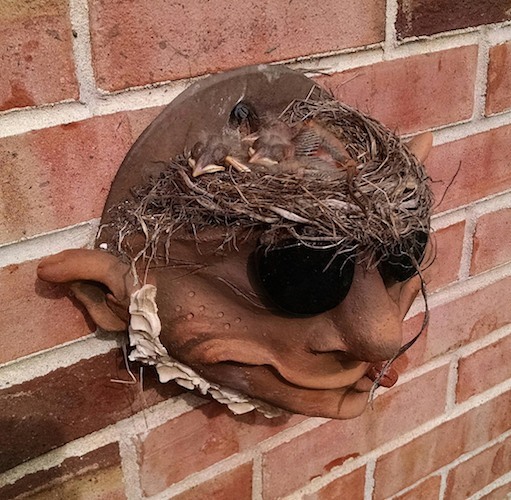 Another popular style, most are wire frame requiring moss or some form of liner, others are done in wood, and some in metal. Forget the mess and go with a sturdy, self-hanging terra-cotta model. This one works for a table display as well. When used flat, try a candle or two and some fresh flower stems to create your own masterpiece. Dress the Living Wreath for any holiday or event, easy hanging chain lets you bring to the sink for occasional watering. Wishing everyone a safe and happy holiday weekend!